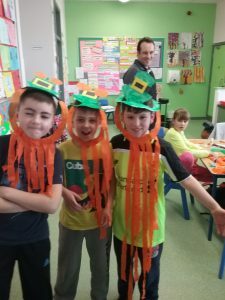 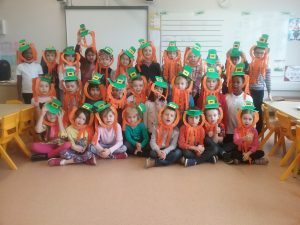 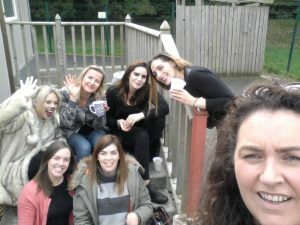 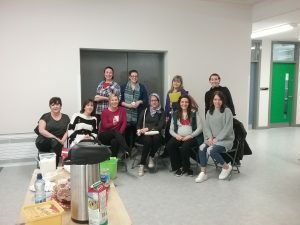 This week and last week we have been doing lots of fun things in celebration of Féile na Gaeilge. 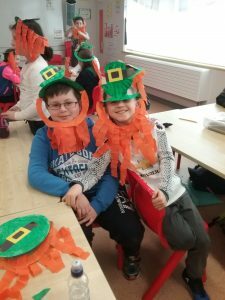 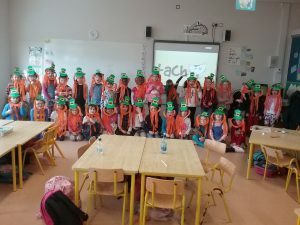 The children have been trying extra hard to use their cúpla focail, listened to stories as Gaeilge, watched some Irish cartoons, took part in a Comórtas Ealaíne and lots more fun activities as Gaeilge. 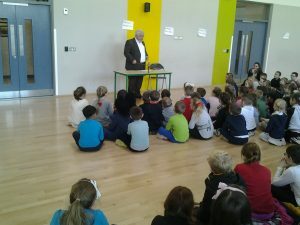 On Monday, Joe’s Grandad, Fergus came to sing us some old Irish songs. 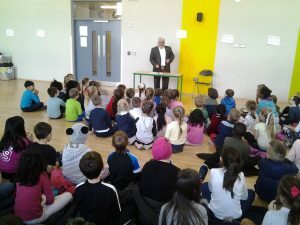 He brought a special puppet named Seán who danced along to Fergus’s lovely singing. 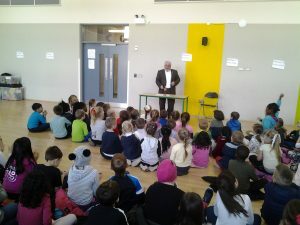 A big thank you to Fergus for sharing his talent with the children in Senior Infants, Third Class and Fourth Class. 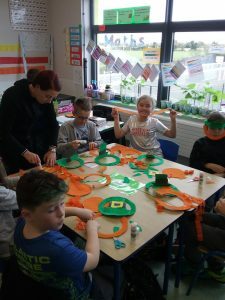 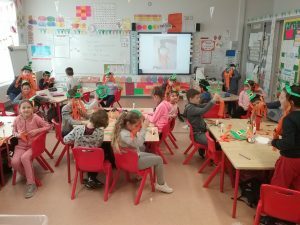 Thank you to the parent volunteers who came in last Friday to help make masks for the children to wear when they represent the school in the St. Patrick’s Day Parade. 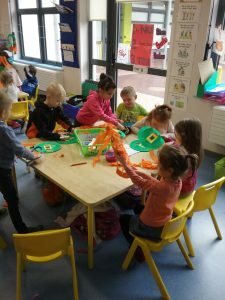 Today we had some crunchy carrots and gorgeous grapes. 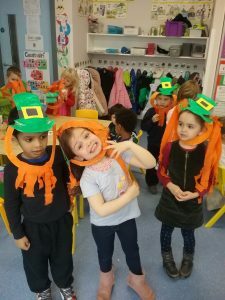 Here are some pics of Junior and Senior Infants enjoying their healthy snack. 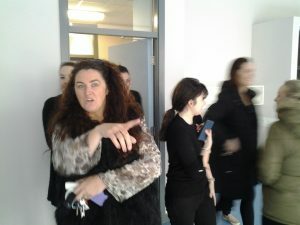 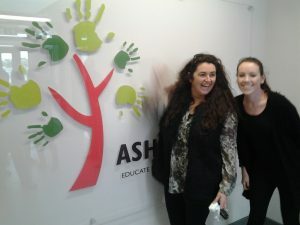 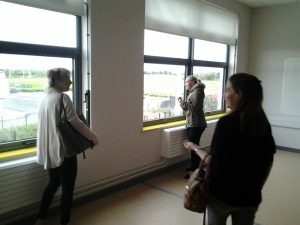 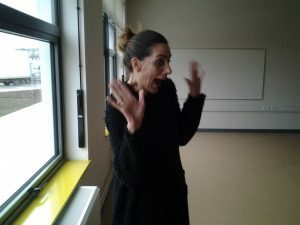 Last Thursday was a very exciting day at Ashbourne E.T.N.S. 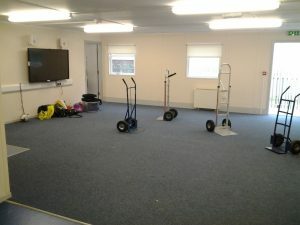 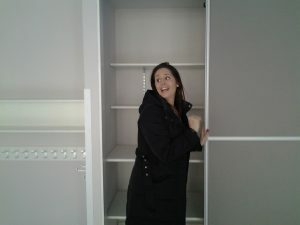 It was our last day at the community centre site before we moved to our new building. 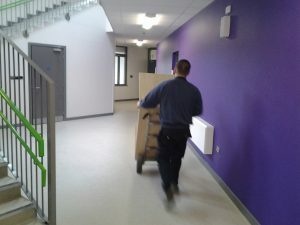 It was a busy day with movers arriving early to ship boxes, furniture and equipment. 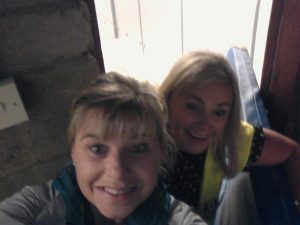 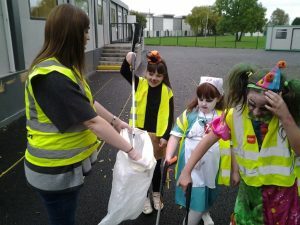 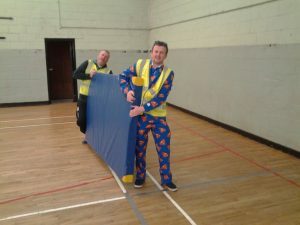 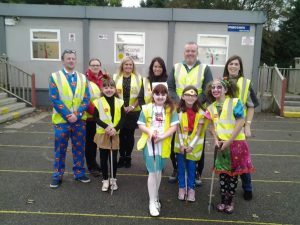 We also had parent volunteers helping our Green Schools Committee with our Green Schools Action Day cleaning up any remaining areas around the school before the move. 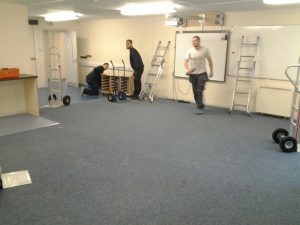 We would like to extend our thanks to those volunteers as well as any other parents who helped us out during the move. 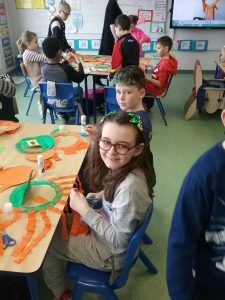 We look forward to welcoming you all to the new Ashbourne Educate Together on Monday November 7th at the usual start time of 8.15 a.m. 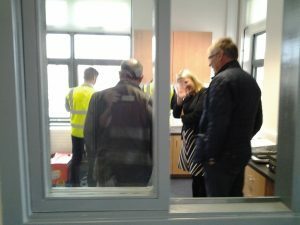 Please see the note below with drop off and pick up arrangements and also be reminded that no tours will be taking place until later in the week.